Here explores a method of expansiveness, how poems sustain a very long line, taking in emotions, objects, and scenes as they appear or are built. Stretching the concept of sentence and description to capacity, the poems witness such subjects as public commemoration and war, the death of a friend, and the distinct mood of love in relation to one’s environment and powers of description. Unlike its predecessor Without, written in short lines and a terse diction, Here is a celebration of just that, the here and now—how we inhabit it affectively and visually, how we represent it and build small narratives from the scarcest of clues. 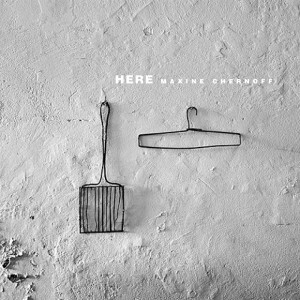 Maxine Chernoff is the author of six books of fiction and fourteen books of poems, most recently Without (Shearsman) and To Be Read in the Dark (Omnidawn). She is winner of a 2013 NEA Fellowship in Poetry and, with Paul Hoover, for their translation of Friedrich Hoelderlin, the 2009 PEN USA Translation Award. She is the editor of the journal New American Writing and chair of the creative writing department at San Francisco State University.